A British “hate preacher” is out of jail and “more determined than ever to spread his toxic Islamist propaganda,” said Tom Kelly in the Daily Mail. Anjem Choudary, 51, was found guilty in 2016 of inspiring British Muslims to join ISIS through online lectures and messages, and sentenced to five and a half years in prison. Thanks to mandatory parole rules for well-behaved inmates, Choudary was released last week after serving just half his time. Security experts have warned that “the Pied Piper of jihad” could inspire more terrorist attacks, and so the Ministry of Justice has drawn up draconian conditions for the remainder of his sentence. 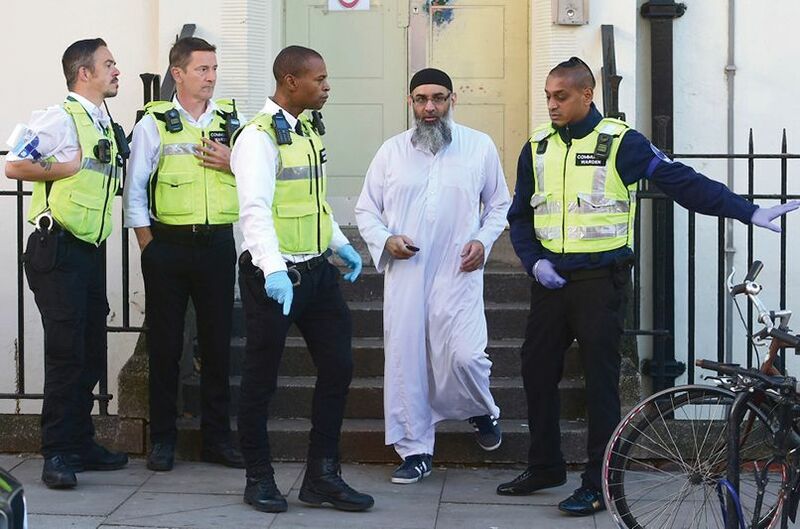 The London-born Choudary has surrendered his passport and will spend at least the next six months at a probation hostel; he will wear an electronic monitor and have a curfew; he can’t travel outside of London, use the internet, preach, or speak to the press. Still, he was trained as a lawyer and is sure to seek ways around these restrictions. Those who knew him in prison say he became “far more extreme and aggressive” while locked up and now sees himself as a martyr. Choudary didn’t only radicalize Muslims, said Lizzie Dearden in Independent.co.uk. He is also responsible for the rise of the far-right, anti-Islam English Defense League. It was Choudary’s group that led a 2009 demonstration in the town of Luton against British troops returning from a tour of duty in Iraq, calling the veterans terrorists and holding signs reading, “Soldiers go to hell.” That prompted a young Luton man, Tommy Robinson, to create the EDL and to organize “protests against Choudary’s events that grew into thousands-strong street demonstrations.” The two spent the next decade “feeding off each other’s extremism” and poisoning British discourse.